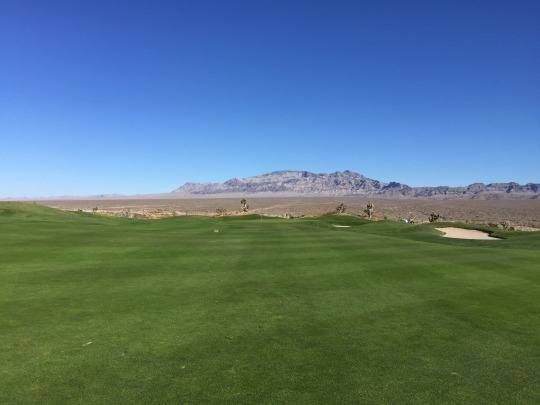 This weekend, I was back in Las Vegas. I was there for a quick trip just a couple weeks ago. 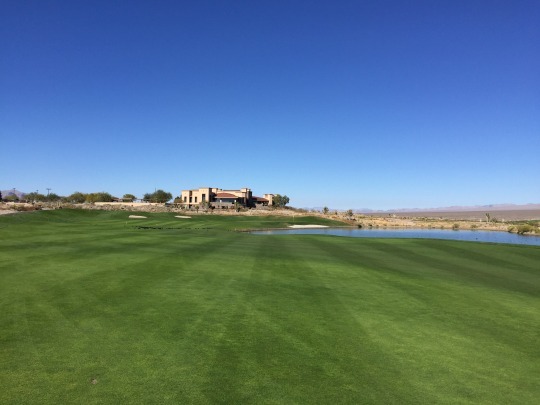 On that trip, I checked out a few courses on the southeast side of town around Henderson. 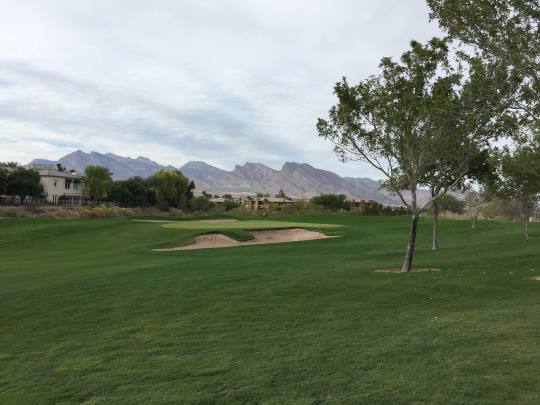 On this visit, I was focused more on the northwest side of town around Summerlin. 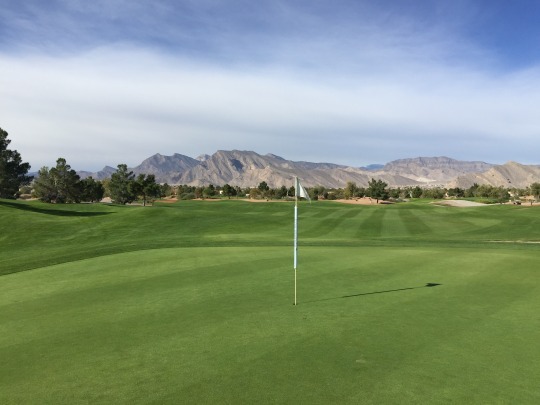 The reason for this visit was because Greenskeeper.org had arranged rounds at two top-shelf courses on Saturday and Sunday. 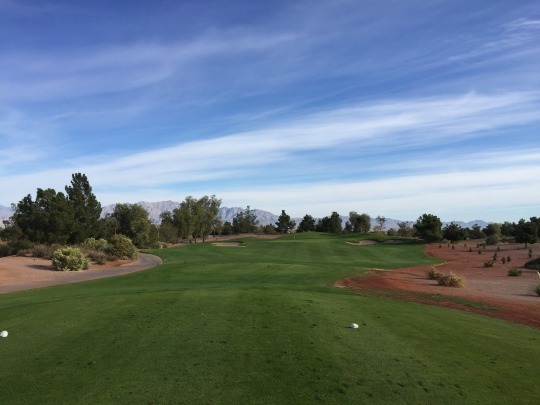 One of the courses (TPC Las Vegas) was one I hadn’t played yet and the other (Paiute Snow Mountain) was a personal favorite. 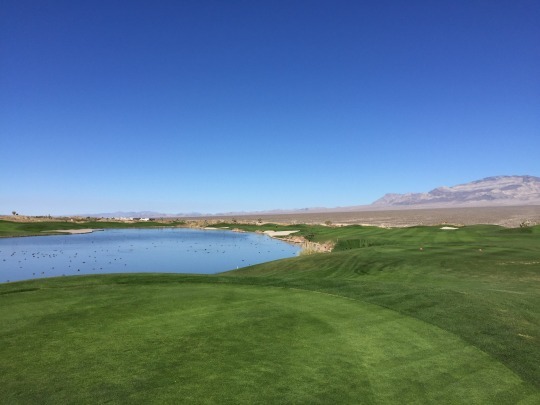 It was the ideal excuse to head to Nevada. Needless to say, I got the most out of trip. 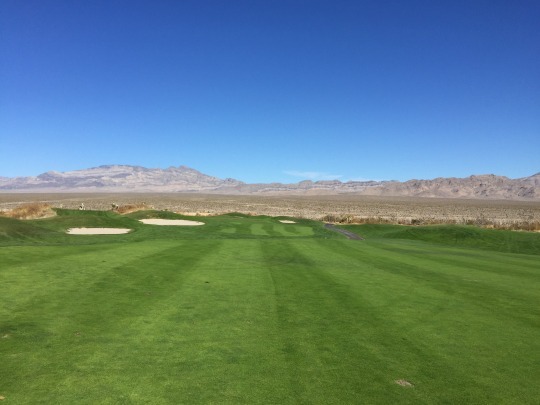 I really don’t have a huge list of public courses left to play in Vegas. Plus, this time of year, everything is pretty expensive. Durango Hills turned out to be the perfect option. 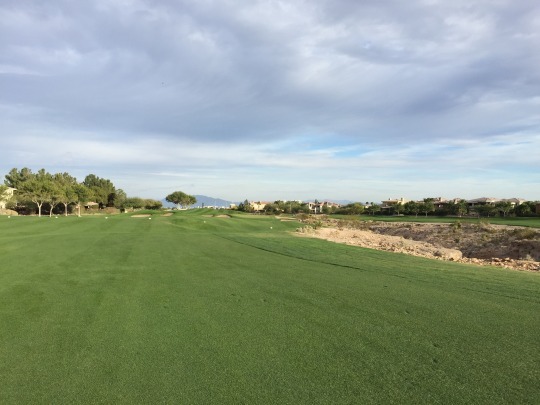 The course is pretty close to TPC Las Vegas and we also didn’t have a ton of time in the morning to squeeze in a full-length course. Plus, this was one of the few reasonably priced options for a Saturday morning in November. 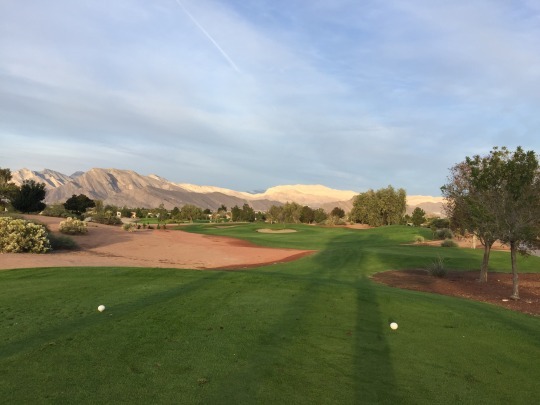 I booked a 7:04 tee time at Durango Hills and was joined by a friend. 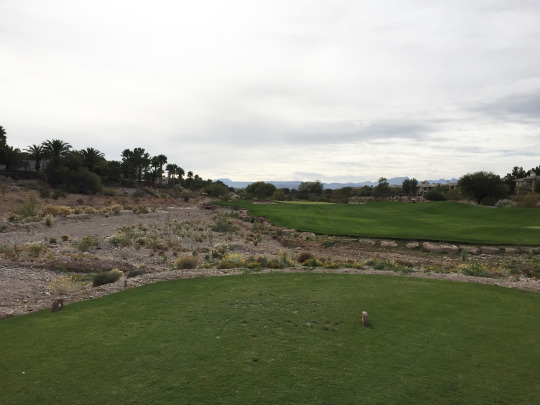 It was pretty wide open when we arrived, so we teed off a little early as a twosome. 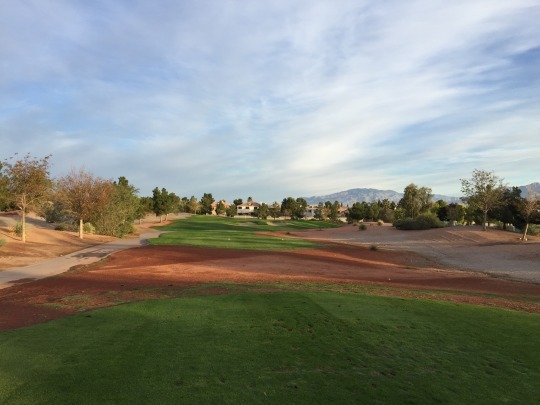 We caught up to the early bird groups after just a few holes and the pace slowed down for us. Still, we finished all 18 in about 2.5 hours, so the timing worked out perfectly. 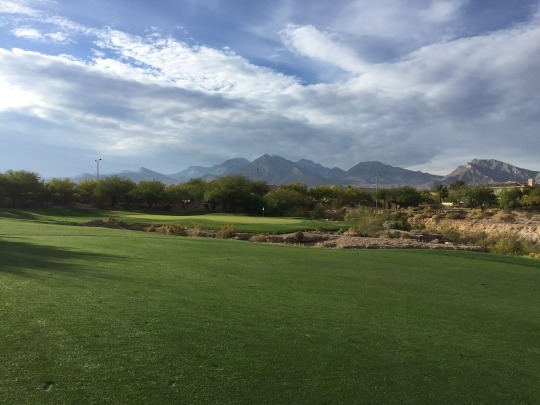 Durango Hills holds similar appeal to Desert Willow, which I played on my most recent visit. Like DW, this is an “executive” layout and it was designed by the Schmidt-Curley team, so it has some pedigree. 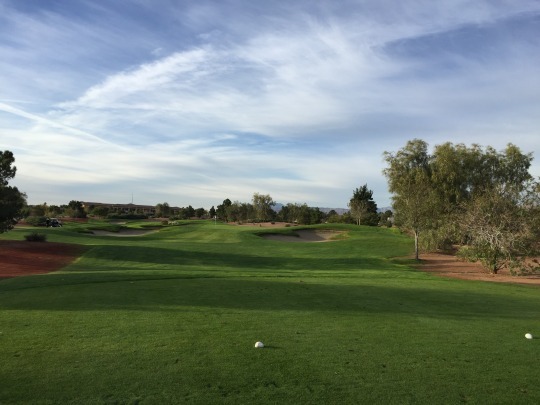 This one is par-58 and features four relatively short par-4s. 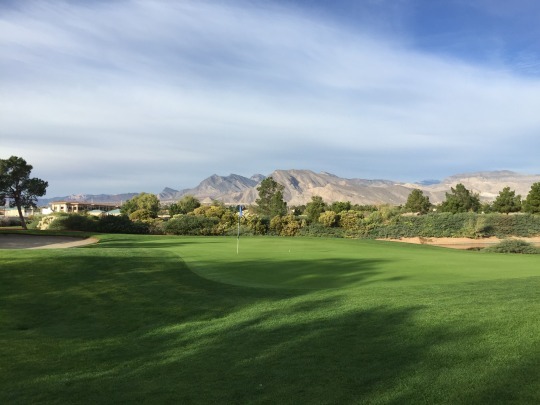 Then, the 14 par-3s offer a good mix of distances that will enable you to use plenty of different clubs throughout the round. 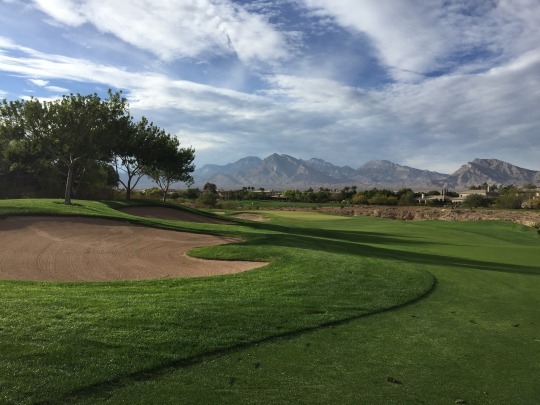 I’ll probably rank Durango Hills just a notch below Desert Willow on my Vegas short course list, but they both offer plenty to enjoy. The design here is pretty forgiving and straightforward. 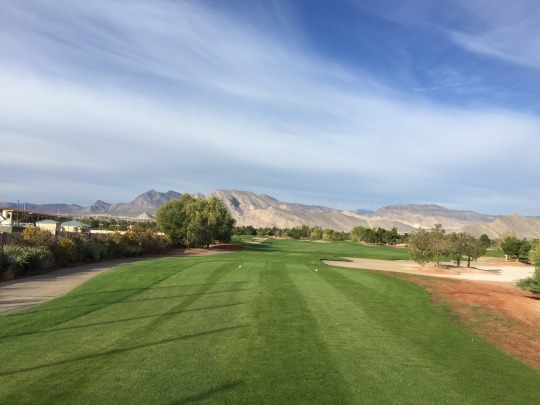 It will provide just enough challenge to help beginning players improve and to keep more experienced players reasonably entertained if they are out here getting some practice in. In these respects, it offers everything you typically want in a short course. 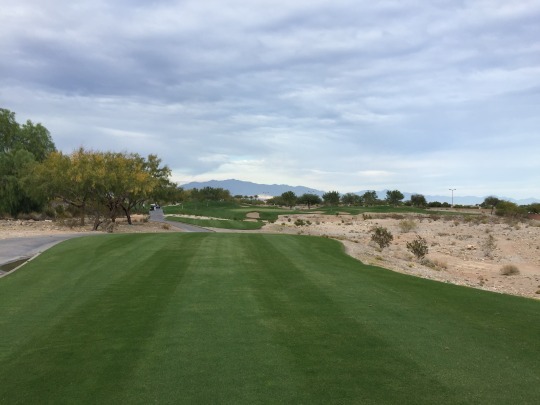 The course was in excellent post-overseed shape, looking pretty lush and green from edge to edge. The tee boxes were maybe a little fluffy, but had nice grass coverage. 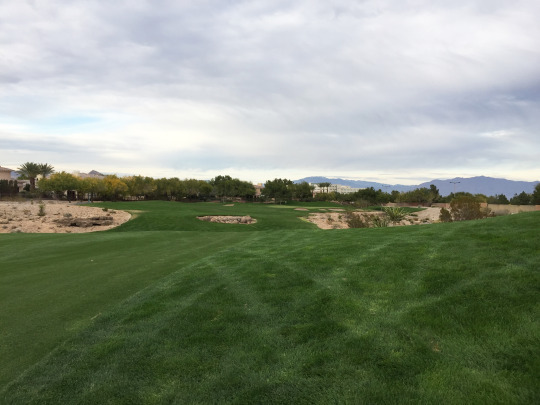 The fairway areas were also nice. The rough was not very deep or penal at all, but also had very consistent coverage. 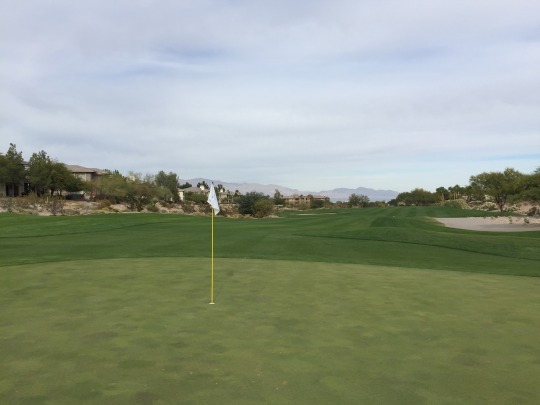 The greens were soft and rolling on the slow side, though the surfaces were generally well-kept. I wasn’t in a bunker. They looked very compacted and wet, so I am glad I was able to avoid them! 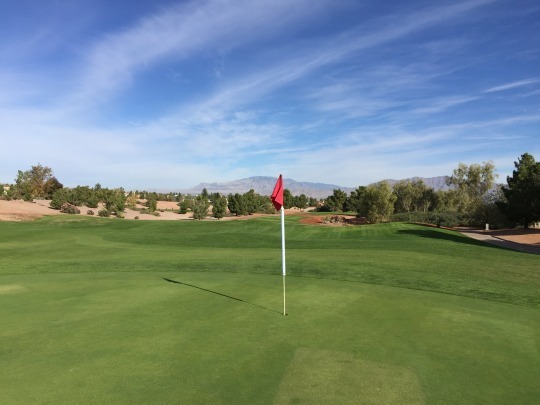 Durango Hills has its place in an area where there really aren’t that many short, beginner-friendly courses. For what it is, I’d easily give it my recommendation. We had a great time at the GK Plays outing. I was in the 11:22 group and it was a nice, relaxed round. The skies were a little cloudy and good pictures were hard to get, but there was still a lot to enjoy about the experience here. 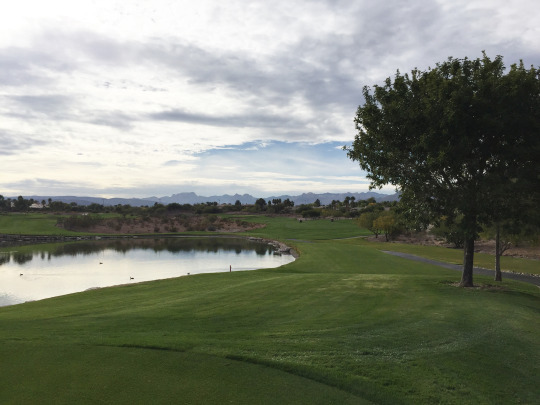 The facilities are excellent and the course was in top-notch shape, as one would expect from a TPC destination. TPC Las Vegas was a former PGA Tour stop (now they play across the street at the private TPC Summerlin course) and it has a strong reputation as one of Vegas’ top resort courses. 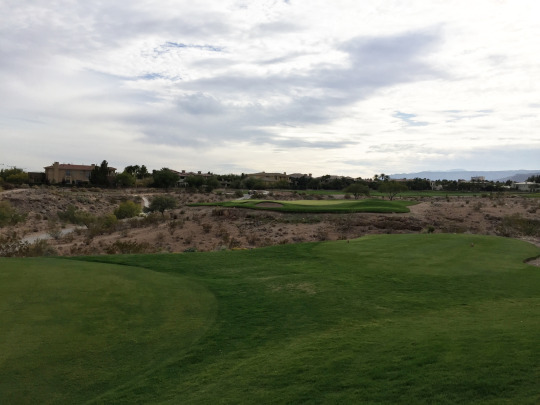 I had unsure expectations about the course coming in. I had heard some mixed reviews. 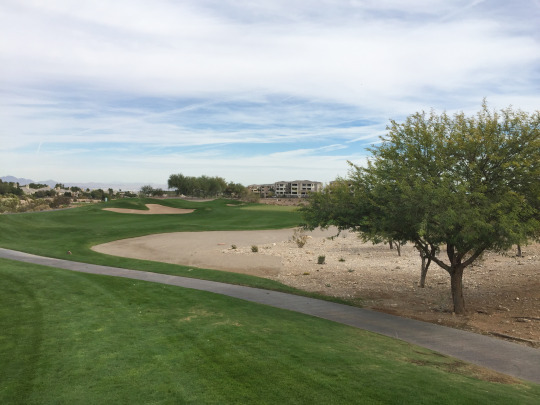 I hadn’t heard anything bad, but there seemed to be questions as to whether this was really a course worthy of the TPC mantle and the hefty price tag that comes along with it. 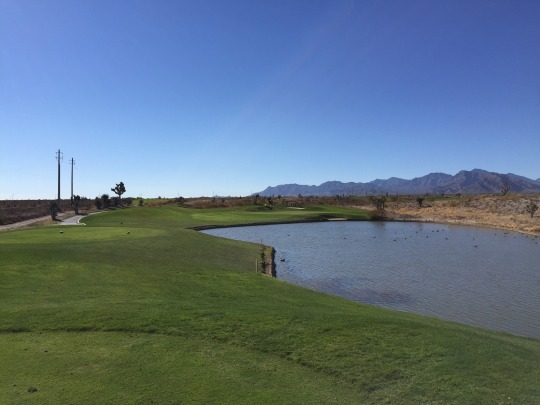 After playing the course, I can understand some of those mixed feelings. Fortunately, we got a pretty nice deal (under $100 a player) during one of the peak times of year, so it was well worth that. However, it is harder to justify the normal rack rates here. 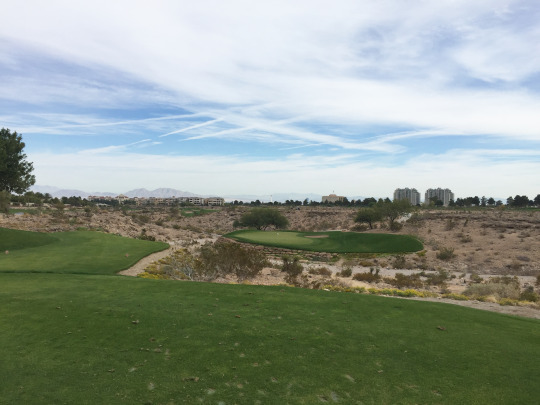 Looking beyond the price tag, I enjoyed the course a lot overall. There are a handful of really great holes spread throughout the course that really caught my eye (2, 4, 5, 12, 13, 14 and 18 come to mind). Then, other stretches are rather bland. 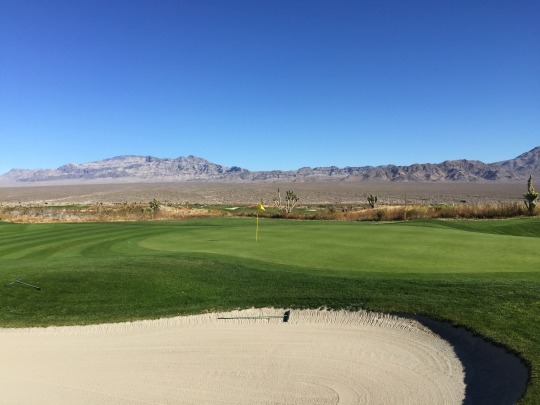 It seems like they lull you into a feeling of “this is just an okay desert course” and then the more interesting holes are mixed in at just the right times to pique your attention at various points during the round. 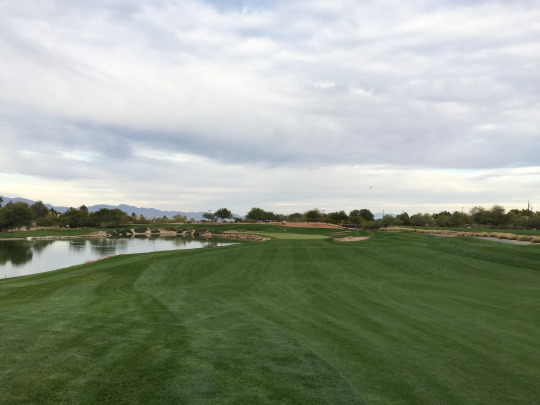 Still, overall I’d consider TPC Las Vegas a “very good,” but not overwhelmingly “great” must-play kind of course. 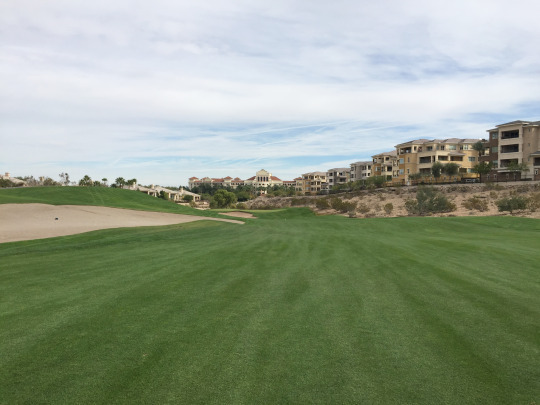 The layout is relatively forgiving off the tee and it gets much tougher around the greens. 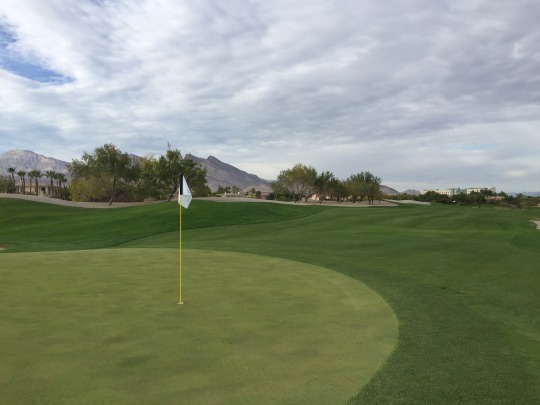 The green complexes are pretty large and there are numerous false edges to contend with. 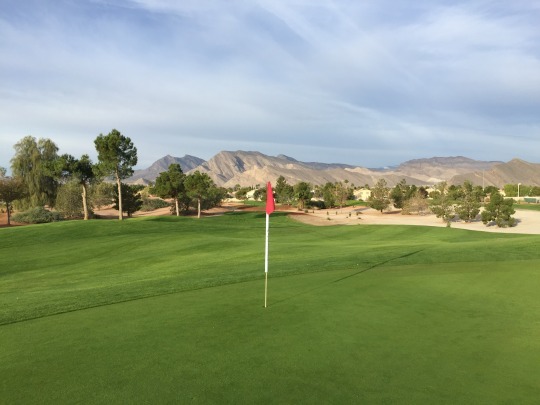 We had a few really tricky pin placements on Saturday. Local knowledge or experience would have been helpful because those false edges caught us unexpectedly a number of times. 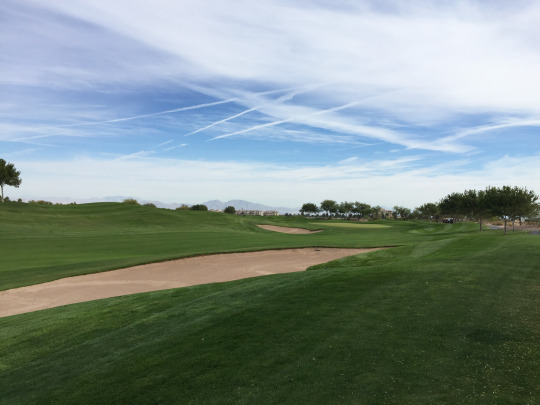 As for conditions, the course was in stellar shape. It was lush, green and beautifully manicured from edge to edge. 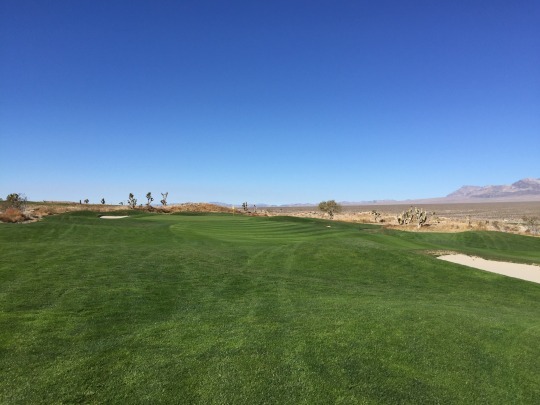 The only slight flaw was that the fairways were just a bit too soft, so drives were landing and sticking with little-to-no roll-out. 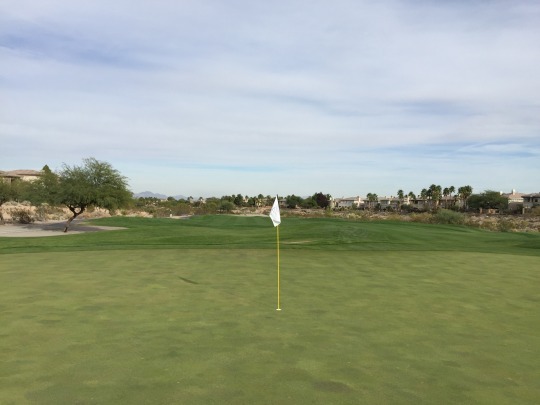 The greens were firm and very fast. That made for a tough combination on approach shots. Anything landing short would not release. Anything landing on the firm greens wouldn’t hold easily. 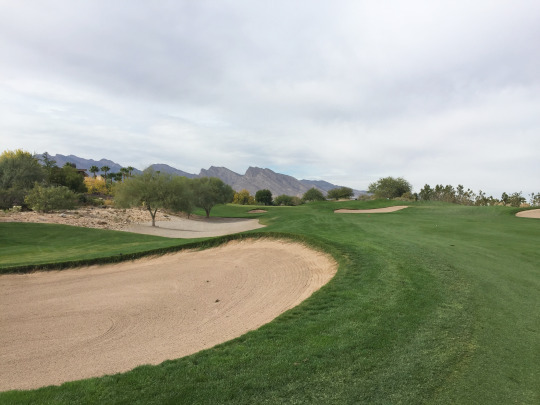 I was in a couple bunkers and they had adequate sand. 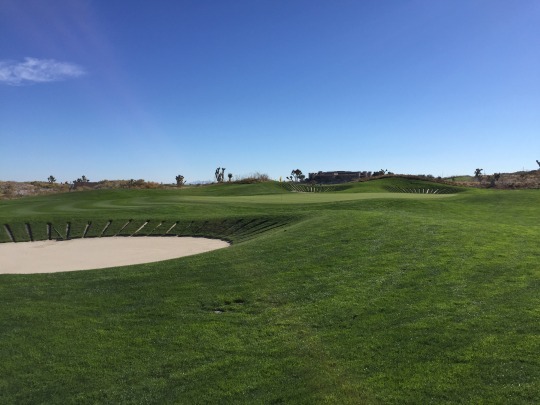 I could see others that looked a little firm and my playing partners had some issues in a few of them. 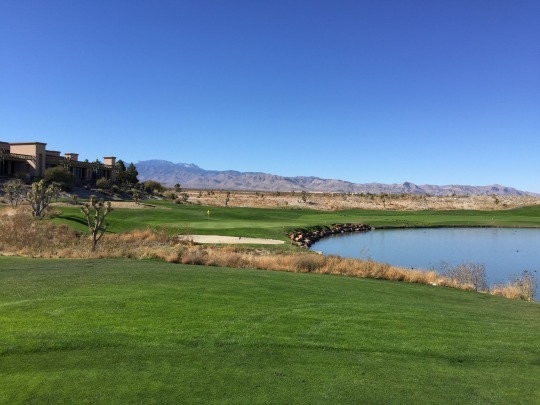 Overall, I had a very nice experience at TPC Las Vegas. It’s well worth playing if you get a reasonable deal. Otherwise, expect to pay a little more for the TPC name and set your expectations accordingly. This won’t quite be a full review. 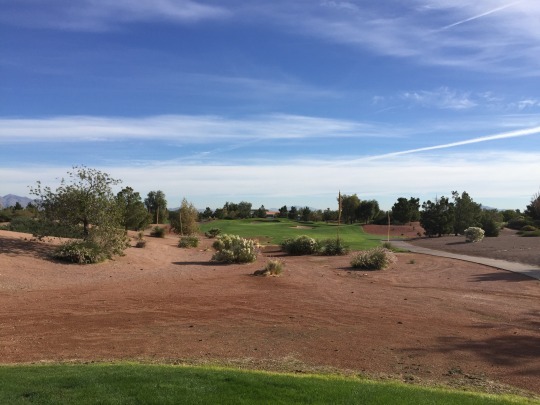 I will just briefly talk about the GK Plays outing and current conditions, as well as include some great new photos of the course. 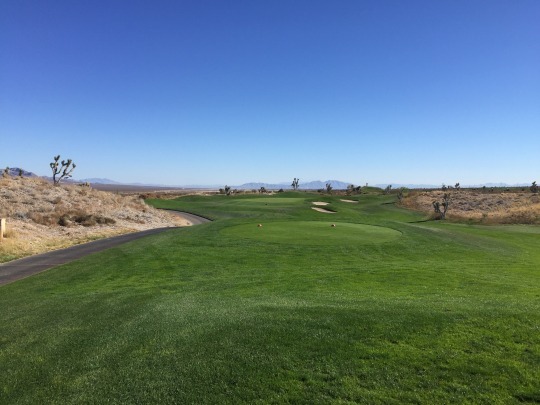 I had the pleasure of playing all three Paiute courses back in 2013. You can read the original reviews here. 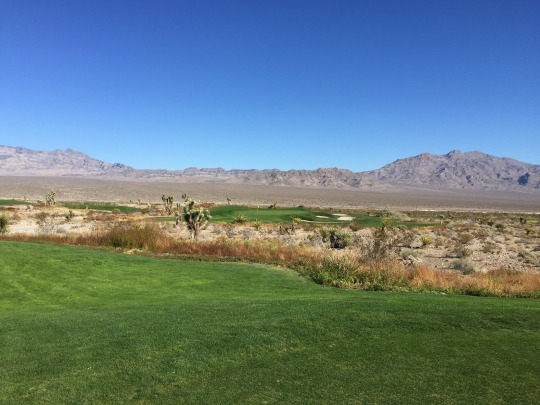 I enjoyed everything about this place and I was more than happy to come back and play Snow Mountain, which was my favorite of the three courses here. 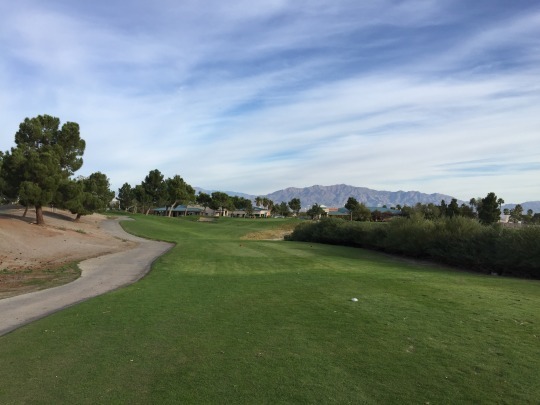 I was in the first Greenskeeper.org group out at 9:07 and we enjoyed an ideally relaxed pace on a picture perfect day. Last time I was here, the wind was definitely a factor. 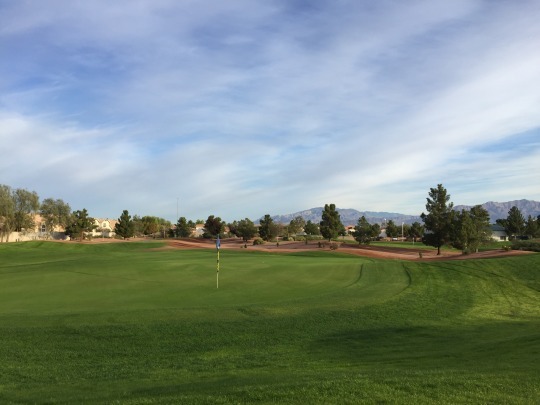 It was a little breezy early on this time, but ultimately the wind died down and playing conditions were perfect. 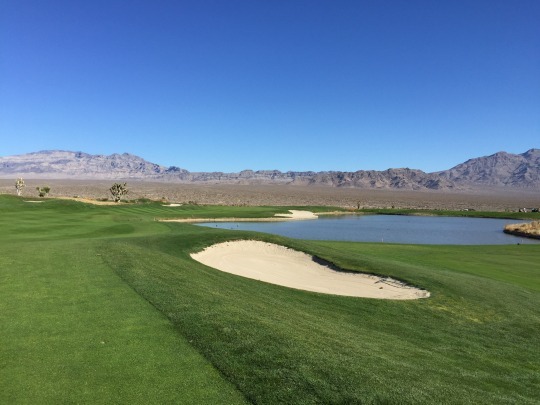 Speaking of perfect, the course conditions were incredible. It was basically immaculate on almost every level. The greens were fast and furious. 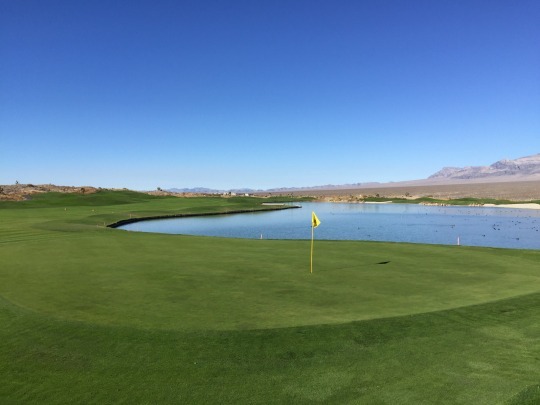 Everything about this place was in tip-top shape, though they did have some coot issues around most of the water hazards. Hopefully they can quell that as the winter season goes on. I’m not really sure what else to say other than I enjoyed myself as much (if not more) this time than on my first visit. 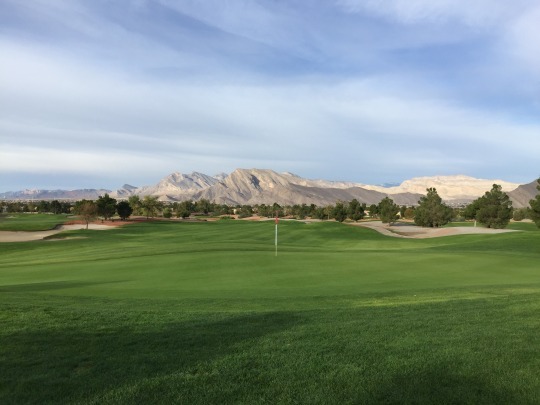 This is one of my favorite courses in all of Southern Nevada, probably ranking behind Wolf Creek and Cascata (I haven’t played Shadow Creek yet). 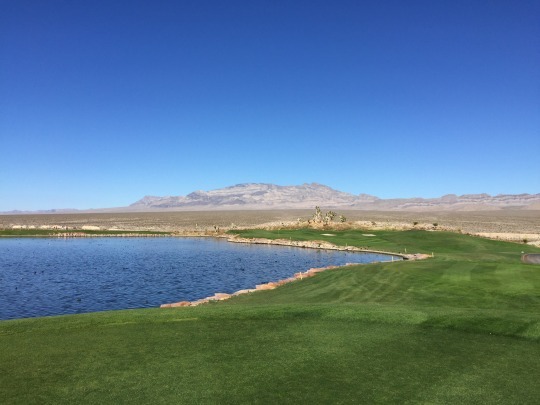 If you haven’t ventured out to Paiute yet, do yourself a favor and experience it. 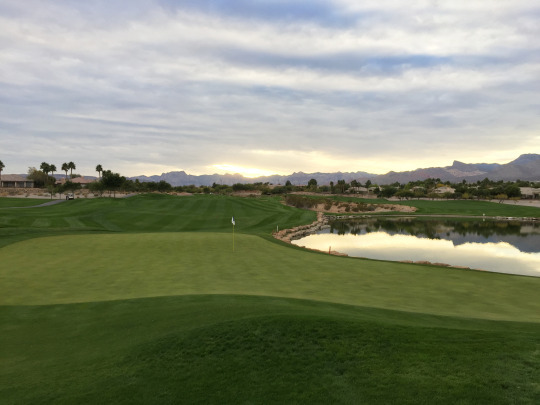 It is a truly special place thanks to the isolated setting and the wonderful collection of three Pete Dye championship golf courses.